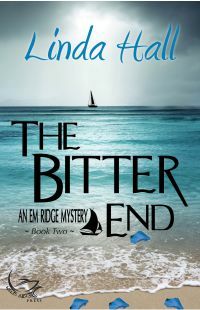 In the Bitter End, book #2 in the Em Ridge sailing mysteries, Em is hired by a well-known and slightly wacky TV conspiracy theorist to ferry him all around the Bermuda Triangle. She does her best to ignore all his crazy 'talk, until they come across a 'ghost' sailboat. Worse, Em knows this boat.